Enjoy pure relaxation in the basic hammock chair Modesta, made of pure unbleached and undyed organic cotton! 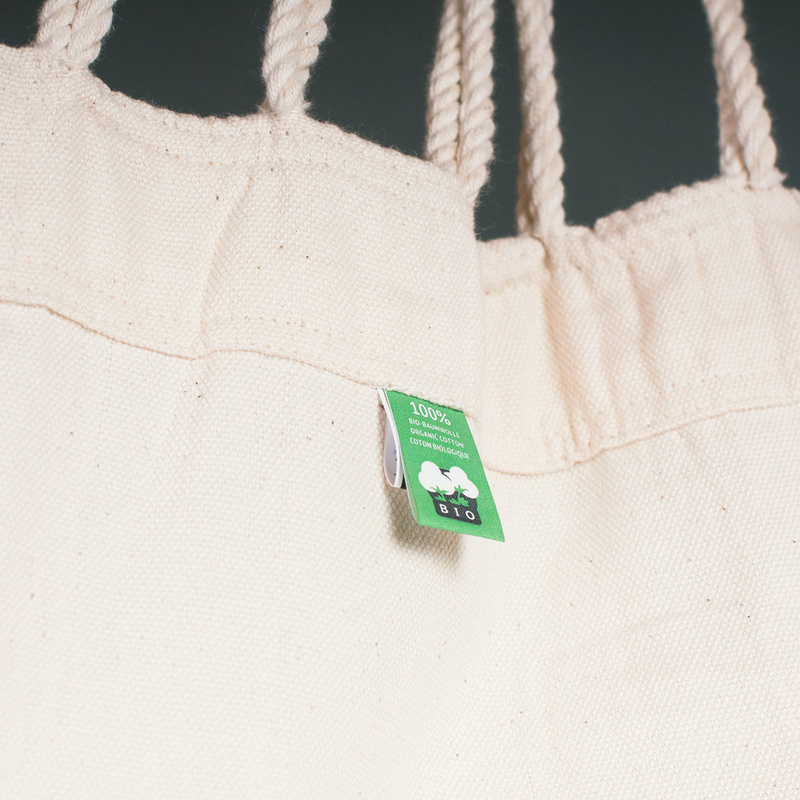 Certified by GOTS to be fair to humans and nature, organic cotton is wonderfully soft to the touch, yet easy to clean. 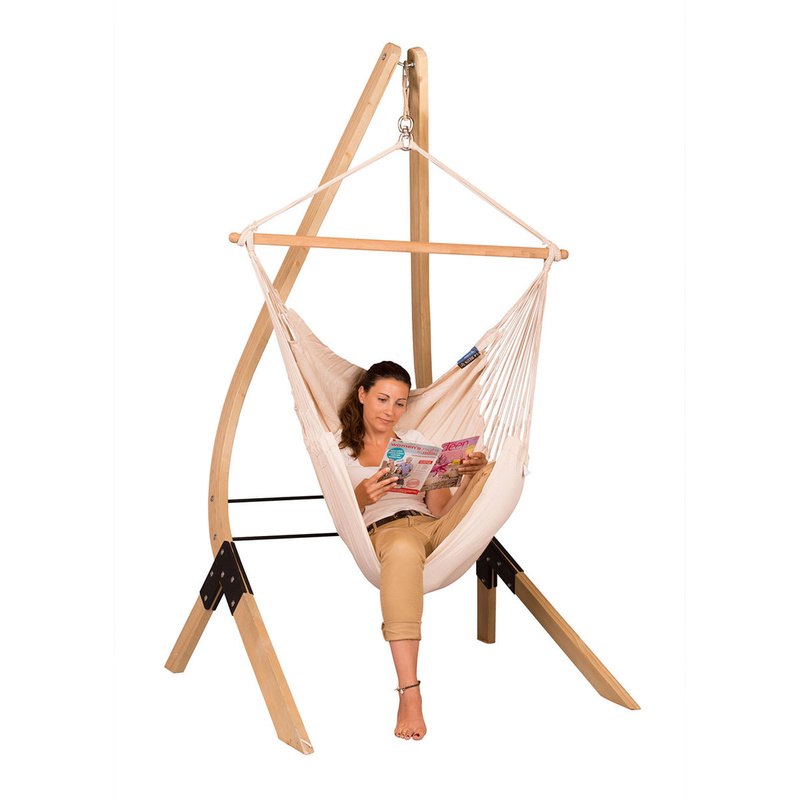 This hammock chair is complete with a beautiful, weatherproof hammock chair stand made of FSC-certified wood. Its special curved design provides sturdiness while granting optimal freedom of movement. The large number of cords is typical for Colombian hammock chairs. They ensure optimal weight distribution and incredible comfort, as well as durability. Reinforced edges make the material extremely tear-resistant. The integrated safety swivel guarantees safe 360° rotation. The spreader bar, made of top-grade bamboo, is not only an eye-catcher, but is also extremely sturdy and weatherproof. In addition, the wood comes from responsibly managed forests (FSC ®). A hammock, but in a seated position! Suspended from the ceiling, a beam or branch, hammock chairs are a highlight for your living environment, inside as well as outside. 100 % natural! Undyed and unbleached hammock line made from organic cotton. Machine-washable at 30°, do not tumble dry.